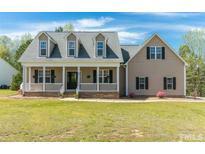 Find Garner, NC Homes for sale. View Photos, Maps and MLS Data Now! 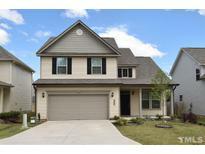 Cleveland Springs - This "Cameron" Floor plan boast many upgrades and is move in ready. MLS#2249954. 3030. Jordan Ridge - Master with a private screened in porch, and two additional rooms on the second floor. Welcome Home! MLS#2249815. 4337. Hunters Mark - Hurry this one will go quickly! 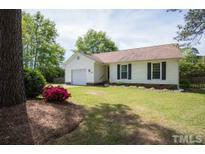 MLS#2249663. 1359. Summerwind Plantation - Don't miss the pool & clubhouse. All with easy highway access. MLS#2249669. 3096. Fenced Yrd, Landscaped. Prof Photos coming soon. MLS#2249814. 2503. Chadbourne - Stunning executive all brick home featured in past Parade of Homes.This beautiful two-story home boasts Master & 2nd Bedroom on first floor,gorgeous mahogany kitchen cabinets&stainless steel appliances.A large central Family Room w/gas fireplace&handsome dining R.Large walk-in closets,huge bonus room w/wet bar & built-in audio system,tons of storage!Delightful back porch with a tastefully landscaped back yard w/fireplace surrounding a wonderful large 16x40 ft in-ground pool.Add’l detached brick 2-car garage.A must see! 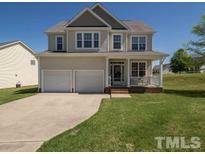 MLS#2249371. 297. Everwood - Large bonus room, 2 car gar on wooded, landscaped lot. Welcome home! MLS#2249137. 4852. Island Creek - Two additional bedrooms upstairs, full bath, and huge, bright bonus room pre-plumbed for wet bar. MLS#2249413. 2017. Brownestone Village - Don't wait on this one! MLS#2249527. 4337. The Woodlands - Close to great shopping and restaurants ...15 min to downtown Raleigh great location. MLS#2249512. 5019. Southfort - Mbath has double vanity & custom shelves. Must see! MLS#2249621. 3836. Forest Hills - This one is not to be missed. 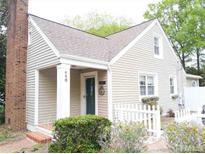 MLS#2249028. 2058. 3 car garage great for storage. Large flat backyard. MLS#2249209. 968. Lees Plantation - Over size 2 car garage and SO MUCH MORE! must see to believe! ! MLS#2248094. 2905.